This vibrant, fresh bean salad is nutrient-rich and makes a refreshing side for your summer BBQs. Stir the vegetable juice, oil, garlic, black beans, white beans, sweetcorn, pepper and onion in a large bowl until evenly coated. 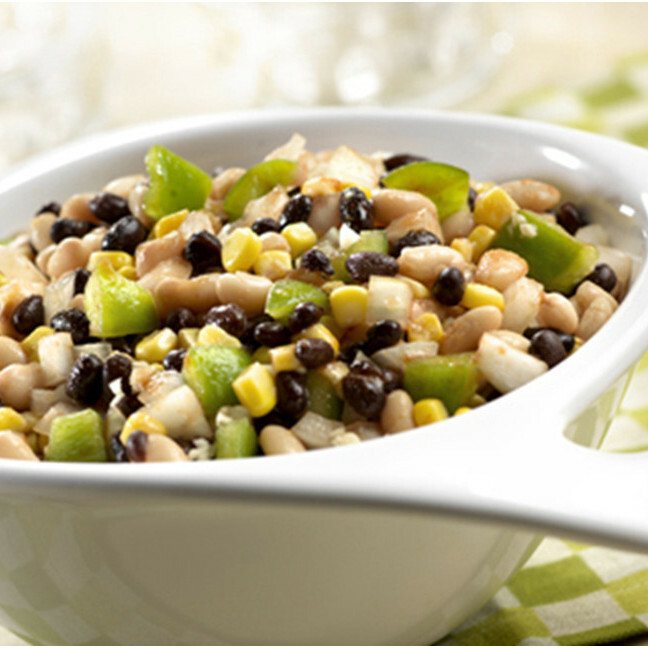 Enjoy your fresh black & white bean salad recipe with V8 Juice.